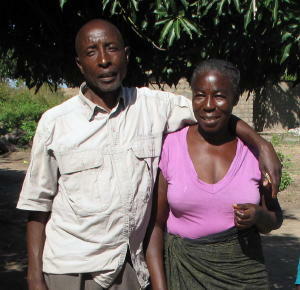 25 Year Wait To Be Baptized: UKAKACHIRA! This is an amazing story about people in remote Zambia who heard the Word of God, accepted it and persevered (ukakachira) through decades. Bev and I met with some of these people from April 25-28, 2014 in Mufumbwe, Zambia, a place we never thought we’d get to. I was privileged to get their story which I would like to share with you. It all started in 1981 when Emanuel Horasi Siyono (who goes by “Horasi”), a mechanic, was injured in an accident where he lost his little finger. He went to the hospital and had to stay overnight. While there, he met a man who was reading the Plain Truth magazine and various booklets. Horasi is now 74 years old and bound to a wheelchair. Horasi became interested in what he read and became a subscriber himself. In 1982 he wrote and asked to be visited and did meet with Mr. Bentley of WCG (Worldwide Church of God) at the Ridgeway Hotel in Lusaka in 1986. He was baptized some time later. He passed his knowledge on to others which included Joseph Kaputula and brothers Christopher, Samuel and Simeon Ndungyuyonga. 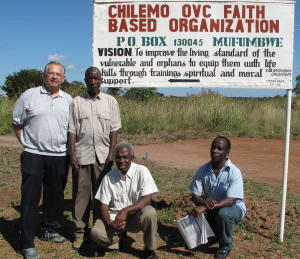 Joseph runs an orphanage called Chilemo Orphans Club. On the Sabbath this group studied the Bible and reviewed the printed material from the Church.” Horasi is considered “father” of this group in Mufumbwe. 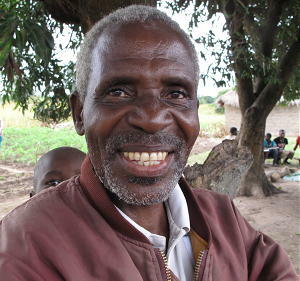 He speaks Portuguese as this part of Zambia is close to Portuguese-speaking Angola. The group subscribed to and read the Plain Truth magazine as well as booklets. In 1993, however, literature abruptly stopped coming, but they kept meeting weekly. By now Horasi had moved a short distance away from the other four: Joseph, Christopher, Samuel and Simeon and their families. In 2004 Horasi wrote again to the United States and other addresses he had for WCG for information about the Church. He received a publication called The Scroll. But, upon receiving it, he noted that the doctrines were markedly different and they knew and they did not want to pursue contact. They did see the following names in the publication: Kalengule Kaoma and Wilson Nkhoma in Lusaka. They did have a Holy Day Calendar and kept the days faithfully but, the calendar ran out in 2008. For the most part, they all lost contact with the Church from 1993 to 2009. He arrived at the Lusaka central bus station and tried calling Wilson Nkhoma again and again, but to no avail. He sat on a bench and was a reading a booklet about salvation. A man was sitting next to Joseph and the two started talking. In the course of conversation Joseph excused himself to use the bathroom and asked the man to watch his things. The man took an interest in the booklet about salvation which was an older WCG booklet. It looked familiar. The man was United Church of God deacon, Jonathan Litaba from the Mufulira area about 220 miles to the North. When Joseph came back, Jonathan asked him why he had it and where did he get it. This led to a discussion about the current state of things in the Church in early 2009. 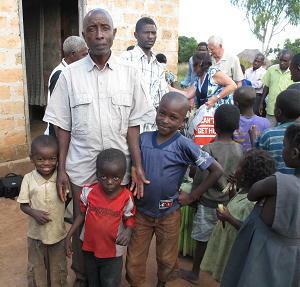 Joseph told him all about the orphanage that he was operating in Mufumbwe. 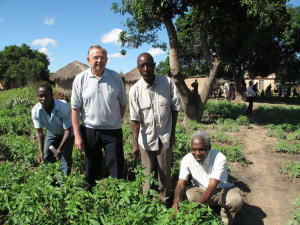 Joseph then went to some Rwandan refugees living in Lusaka, who he had helped in the past, for a place to stay. On the Sabbath Joseph went to the Arakan Army Barracks where he was told services would be held.. It was in a military location arranged for by an officer retired from the army. Joseph came into the barracks area, but was immediately arrested by a guard who asked him who he was and what he was doing there. Joseph told him that he was looking for the United Church of God services and Wilson Nkhoma. The guard said he knew nothing of this meeting. Joseph explained that he was from out of town. The guard excused him and ushered him out of the barracks. Joseph never went to the 3 pm church service. Now, Jonathan got the information to Wilson Nkhoma and Wilson called Joseph that night. They arranged to meet at Wilson’s house in Lusaka the next day. 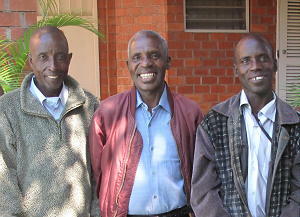 They met and discussed a lot about the Church in Zambia and elsewhere. Wilson gave Joseph lots of magazines, booklets and some money. Afterwards, Joseph’s friends helped him get on his way back to faraway Mufumbwe by giving him money for the trip, school books for Joseph’s children and clothes for Joseph’s wife Agnes. Lots of “Katundu” (stuff). In Mufumbwe the group continued to meet weekly on the Sabbath as they always had since 1985, but now they were connected to the United Church of God. Bev and I heard some of their story for the first time. In the early part of 2011 they once again tried to make contact and called Wilson Nkhoma. 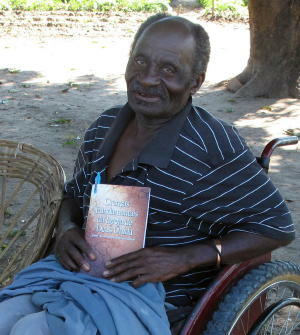 Mr. Nkhoma was now the pastor of the United Church of God. Wilson told them all to wait and that I would be coming to Zambia in April and that I would baptize them. That happened on April 24, 2011. My wife Beverly asked them after they were baptized: "How long did it take." "Twenty-five years" they answered calmly. They had waited more than 25 years to be baptized! It was a great honor for me to baptize Joseph, Christopher and Samuel at the swimming pool at the Ndeke Hotel in Lusaka. We were astounded and inspired by their story. In our beautiful recounting the events on this 2014 trip Sunday, April 27th, the word that we used to describe the experience was UKAKACHIRA, which in the Kikaunde language means “Perseverance!” It was perseverance and tenacity for sure. Beverly commented to them how God takes care of His people and doesn’t forget them…even though it may seem like a long time. Derrick Pringle is now their pastor though he lives 300 miles away. He and his wife Cherry have been the right people for this. They have the capability to drive the difficult road and have a special love for these people. Also.....LifeNets is very actively supporting Joseph's orphanage....see more here!